Enterprise 2.0 continued its growth and maturation in 2009. We saw the rise of the Enterprise 2.0 consultancies, including Dachis Group, Altimeter Group and Pragmatic Enterprise 2.0. Andrew McAfee published his book about Enterprise 2.0. We saw the rise of the 2.0 Adoption Council. And based on what can be gleaned from vendors, more enterprises are deploying social software. For 2010, three themes will impact the sector. These aren’t the only ones, but I expect to see plenty of news, features and industry mental energy covering these. As a list of capabilities, this certainly is impressive and quite a departure from SharePoint 2007’s social software efforts. The devil is in the details, of course. But generally, customers who have been “making do” with 2007 will suddenly have an attractive option from Microsoft. SharePoint 2010 will likely be a big catalyst for Enterprise 2.0 growth. The coming release of SharePoint 2010 is forcing many vendors to evaluate their positions in the market. Going head-to-head with the same or fewer features is going to be tough. What differentiates your offering? 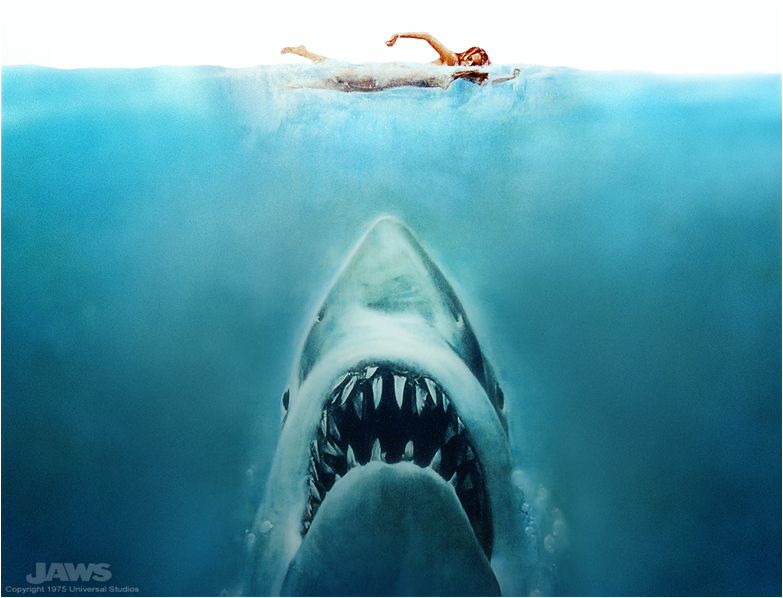 My Jaws picture refers to this dynamic facing Enterprise 2.0 vendors. There will be articles reviewing 2010. There will be blog posts dismissing its capabilities or lack thereof. But there will be impact in the corporate world. At Defrag 2008, I caught Charlene Li’s presentation, where she said, “social networks will be like air“. The premise of her talk is that social network aspects will become less a destination URL and more an integrated part of experience throughout the web and mobile. This is a clear sign that the enterprise software and social software worlds are munging. Get ready to see a lot more. Salesforce and Tibco won’t be the last. Expect more announcements in this vein for 2010. Mike Gotta noted that this concept was called “contextual collaboration”, and was promoted by Matt Cain in the late 1990s. The web 2.0 tools of today are better, more diverse, more scalable and better adapted to human behaviors than whatever was available a decade ago. Putting these tools in-the-flow will be a powerful basis for expanding Enterprise 2.0’s reach. A challenge for standalone general tools of today is that they require employees to toggle between different apps. This can make it tough to get traction. For example, Intellipedia has been making a difference, but it’s still just “a marginal revolution“. Not all agencies have made it part of daily work. What the article doesn’t cover and where I would be interested in your views is how the use of E2.0 tools would enable the Business Processes themselves to be changed. Or innovated completely. eg how do you bring Crowdsourcing, Idea Engines, Prediction Markets etc and integrate those into ERP systems? Yes, even Oracle is discussing this concept. Watch how this theme unfolds in 2010. …why would a company maintain both the intranet and the social software suite. Pick one. The Enterprise 2.0 vendors still need to mature their product further to become the company intranet/portal. But I see that as their destination. Meanwhile, a new crop of vendors have dispensed with the pursuit of all-everything suite approach. Rather, they build applications that integrate social in solving specific problems (e.g. Spigit for innovation management). Gartner analyst Anthony Bradley tabs these vendors’ offerings as “activity-specific social applications”. These vendors build in functionality that solves specific problems for companies, usually with definable ROI. I expect the general collaboration suite vendors will offer their own specialized modules as well, in order to offer tangible ROI solutions to their customers. Watch how this stratification dynamic plays out in 2010. Those are my thoughts – what do you think? #8: Thanks @tristanwalker – glad you like the #foursquare as social CRM post. Small business payments/CRM market is ripe for disruption. Parker Smith wrote a piece that got me thinking. In Foursquare: Democratizing the Loyalty Program, he posits that Foursquare could be the loyalty program provider to small businesses. I think he’s right. For example, foursquare can tell you how many times a customer has been to your venue or the frequency of their visits. Many venues are now using this data to reward their most loyal customers with freebies or discounts. If you frequent a place that accepts Square, we’ll let them know you’re a repeat customer. That 10th cappuccino may be on the house, no paper coffee card required. Would you look at that? Are these guys going to end up competing with one another? A few years back, I was the personalized marketing product manager at Pay By Touch, which offered the ability to pay for items with biometrics (i.e. your finger). Once you could identify the customer and her spending, interesting loyalty program solutions became available. Which brings me to what Foursquare and Square are doing. Square is still in beta mode, so it’s hard to predict fully its uptake in the market. But let’s assume Twitter co-founder Jack Dorsey and his backer, Khosla Ventures, are on top of this opportunity. And Foursquare is growing quickly. Each provides pieces of what would be needed for a small business CRM. The companies are independent, but I can see new value created if they were to work together. At least, not for businesses that operate in the physical world. Dry cleaners, restaurateurs, retailers and other small businesses. They may have loyalty punch cards, but generally don’t have any programmatic way to track and engage customers. It shows the stages of a business’s customers: new, existing, declining, lapsing. And the ability to tier active customers also is valuable. Each tier has its own dynamics. There is much more to CRM than a simple frequency loyalty program. It’s a deeper level understanding of the customer base. Understanding the statuses of customers from this point of view is powerful marketing information. Modern CRM is more than the analytics and outbound campaigns. The social CRM movement is gaining strength, and it’s incorporating many social network principles into the customer engagement process. And it’s not readily available for small businesses that operate primarily in the “offline” world. Unlike the digital platforms of e-commerce, offline transactions are not measured. At least not beyond the credit card transaction for consumer transactions. This is an area of enormous opportunity. The company that solves the CRM issue for the 4.3 million small businesses in the U.S. has an enormous opportunity in front of it. Customer identity = who are your customers? When you see them both tout free products for repeat customers, this is how they’d do it. Identity + frequency = loyalty punch card. But what about the services’ other features? Social incentives: It’s fun to build up points relative to your friends, show off your Foursquare badges. And who doesn’t want to be Mayor of some local business? Social interactions: People use Foursquare to to broadcast their location. This lets other meet up with them. Or in the case of crowded venues, find someone else there. Game dynamics: This reporting in on your locations is an addictive game for many. It’s cool to get your first check-in daily bonus, to unlock a new location (hooray!) and oust someone as the Mayor of a place. Social media word of mouth: By following people on Foursquare or Twitter, you can see where your network hangs out. This raise awareness for businesses, an incredibly important benefit. I don’t spend much time in Palo Alto, and I’d never heard of Coupa Cafe. But you know what? If I find myself in Palo Alto needing lunch or a coffee, guess which place I’d specifically look for? Dollar spend: Incredibly valuable information to track. Does someone come in a couple times a week, but spend heavily on food? Or do they frequent the cafe more often, but only buy coffee? Dollars spent is an important complement to simple visit frequency. In-the-flow process: Square captures it’s information in-the-flow. That is, you don’t have to do anything extra. You’re have to pay, it’s part of the normal process. 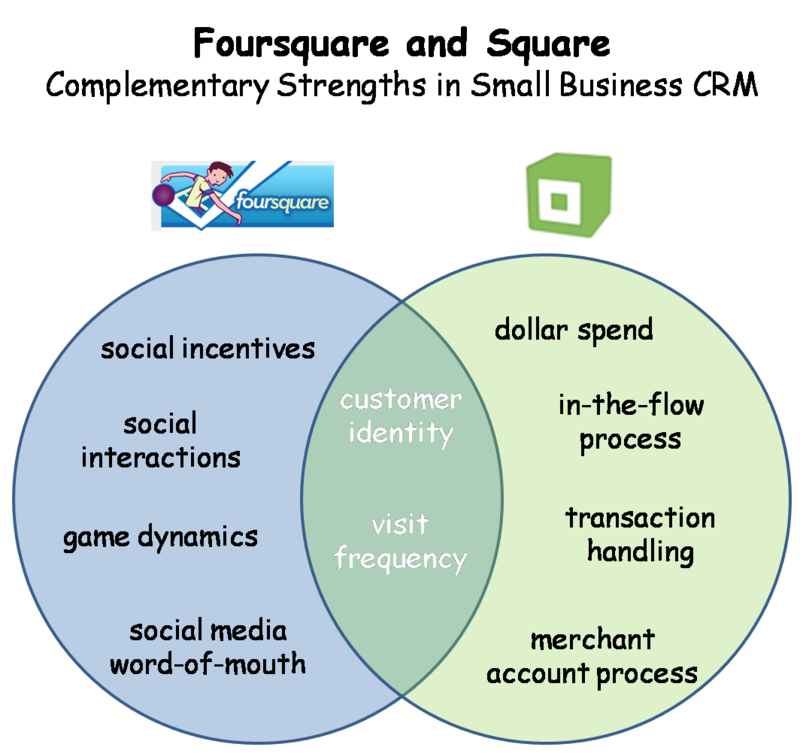 Foursquare requires a check-in, which is outside-the-flow of regular small business-customer interactions. Transaction handling: By owning the transaction handling, Square can implement low-maintenance marketing programs. Businesses can create promotions tied to specific accounts, and execute them at the point-of-sale via Square. Merchant account process: The process of getting businesses signed up for these programs isn”t trivial. It is standardized, but there’s a lot to tackle to provide good service. Some early reports indicate that Square has a superior merchant account set-up process, which may be its best innovation. The sort of people who will stop and record their restaurant visits and who have friends who also stop and record their restaurant visits and then write reviews of same. And while that’s a prime demographic, I’m thinking it’s not nearly as large as you’d hope. Most people just don’t have the time or inclination to “play” FourSquare. This is why putting the process of playing Foursquare in-the-flow would be valuable. The challenge is in connecting a credit card transaction to a person’s Foursquare account. Then I realized Square’s intentions are much bigger than a simple transaction swipe. The company lets people set up their personal accounts on Square. I assume you will enter your credit card number online, and when that number comes through in a transaction, it’s associated to your Square account. Thus Square can manage loyalty punch card programs. Well, why not associate your Foursquare account to your Square account? When you swipe your credit card at the local business, Square processes the transaction the way it normally does. But it also does something else. It prompts an update to your Foursquare account. I’m not talking a Blippy-style broadcast of your credit card purchase amount. Rather, your location status is updated automatically on Foursquare. Just as if you’d updated from your iPhone. The small business then gets the social part of the CRM program. What do you think? Two great tastes that taste great together? Small business could use the combined elements of Foursquare and Square. ComMetrics is a social media analytics company, a division of CyTRAP Labs GmbH. ComMetrics is well-known in the industry, including its FT ComMetrics Blog Index. The company published a useful piece, Crowd-wisdom fails businesses. The basic premise is that crowds do not innovate. It’s useful, because it contains both truths and misconceptions about the role of communities in the innovation process. Innovation via a stadium crowd? The initial point of the post is that “Crowds Innovate – NOT”. And it’s true in its literal sense. This may be one of my favorite misconceptions about the role of communities in innovation. That crowdsourcing is some sort of mind meld where innovations spring from a collective brain wave. You mean you wouldn’t solicit the stadium crowd for ideas related to what they’d like to see on those fronts? How about their feedback on the stadium management’s and others’ ideas? Collecting ideas in aggregate. Stop for a moment and consider that. I’m contrasting that view of crowdsourcing from the hivemind singularity that operates off a single brain wave. While the employees of a business have more of a vested in its success, the actual users of a product or service have a pretty good sense of what they want to accomplish. Diversity of feedback. Research demonstrates the power of information diversity in increasing the quality of ideas. And crowdsourcing is a marvelous way to capture a broad spectrum of opinion and understanding. If you’re going to get a range of opinions, including wild cards that weren’t expecting, soliciting a community’s feedback is a powerful approach. Crowdsourcing doesn’t mean the whole world. When I read the stadium crowd quote, I get a subtle ‘dis’ in it. Namely, that there some serious nimrods in the crowd, and what the hell would they know about your business? But that’s a stereotype. For instance, look at the open source operating system Linux. Linux is a great example of crowdsourcing. But you’re not going to find me contributing anything there. I have no knowledge, opinion or interest in it. Crowdsourcing attracts parties interested in the product/service being examined. It’d be too demanding to participate otherwise. The notion that a book might be a must-read because it is highly ranked by many on Amazon does not make it Nobel prize material. The earth did not stand still just because Galileo fell out of favor, nor has evolution been shown to be false due to the faith of believers. Hence, product reviews driven by superusers and crowds who follow just means that the wisdom of crowds can only be conventional. Volume against quality. Thumbs Up or Down works but fails to explain why: Crowds do not drive and bring innovation to successful fruition in the form of a marketable product. Nor are they the best source for assessing quality – the one that shouts the loudest is heard the most. Nevertheless, crowds can tell you if they like or dislike something. There are truths in both of these observations. Amazon superusers are the modern equivalent of tastemakers in pre-Internet society. The people the crowd followed to find the best of things, often read in the newspapers. There are cases where the opinion of an A-Lister can have too much sway. One key difference is this: today, people have to re-earn their influence over time. If over a sustained period someone falls down and no longer looks forward to the fresh, to the new, they lose their influence. The crowd moves on to someone else who is at the leading edge. Humans have a natural affinity for the new. Perhaps more importantly, one cannot argue that no one has solid authority over a particular innovation domain. We don’t all wake up as blank slates every morning, having to relearn expertise during that day’s work cycle. There are bona fide, honest-to-goodness authorities on subjects who are motivated for improvement. Which brings me to the second point about simple up-down votes. These votes do provide valuable feedback. You get an early read on what is resonating with the crowd, which is a valuable filter. But they lack nuances that can help identify the best among ideas that are resonating. And the role of these authorities should include finding valuable ideas the crowd overlooks. 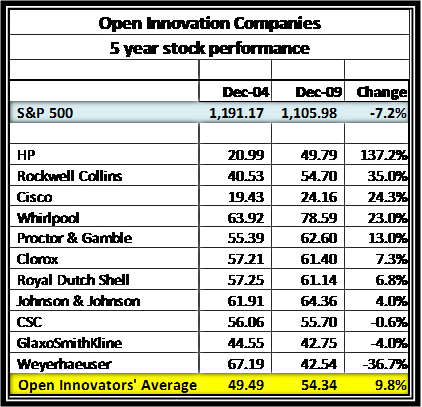 In the blog post Corporate Innovation Is Not a Popularity Contest, I argue that binary feedback mechanisms – up-down votes – fall short. They are valuable, but not enough. And this is something Spigit does with its integration of reputation scores into the innovation process. ComMetrics makes good points here. And kudos to ComMetrics for taking the time to weigh in on this topic. Their post provides a good framework for considering both the problems and opportunities of working with communities in the innovation process.